Below is the eagerly awaited and final US theatrical trailer for 'The Dark Knight Rises.' Check out the epic trailer below! Batman is now hunted by the law led by his friend Commisioner Gordon for taking the blame of Harvey Dent's murders and protecting his reputation. He must quickly deal with the arrival of new villain Bane who is bent on the destruction and chaos of Gotham City, face old wounds and get a handle on the enigmatic Selina Kyle before his city is lost for good. Oscar Winner Christian Bale reprises his role as Bruce Wayne/Batman for the third time along with stars Michael Caine as Alfred, Gary Oldman as Commissioner Gordon and Morgan Freeman as Lucius Fox. Inception stars Marion Cotillard and Joseph Gordon-Levitt join the cast as WayneEnterprise board member Miranda Tate and Gotham Cop John Blake. Rounding out the cast are Anne Hathaway as the sleek Selina Kyle and Tom Hardy as the powerful villain Bane. Warner Bros. Pictures presents, in association with Legendary Pictures, a Syncopy Production, a Christopher Nolan film, "The Dark Knight Rises." Nolan directed the film from a screenplay written by Jonathan Nolan and Christopher Nolan, story by Christopher Nolan &; David S. Goyer. Charles Roven, Emma Thomas and Christopher Nolan are the producers, with Benjamin Melniker, Michael E. Uslan, Kevin De La Noy and Thomas Tull serving as executive producers. "The Dark Knight Rises" is based upon characters appearing in comic books published by DC Comics. Batman was created by Bob Kane. 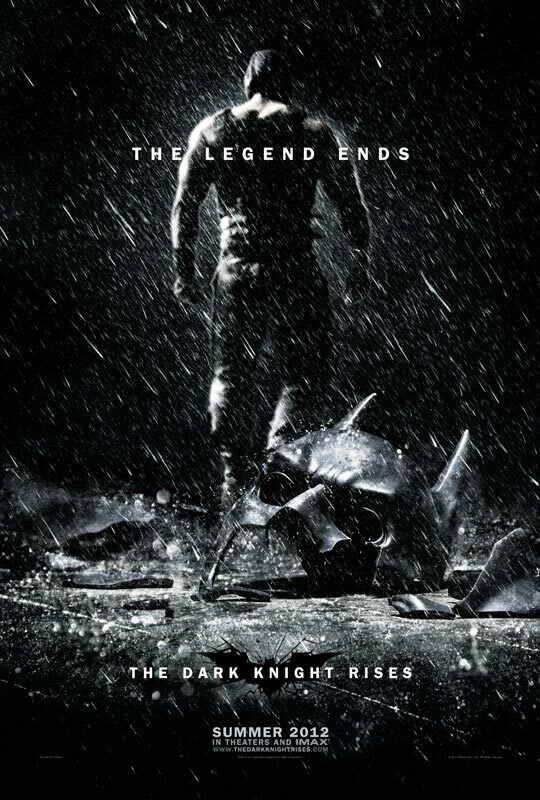 'The Dark Knight Rises' opens on July 20th, 2012. To view the trailer in full breathtaking 1080p HD clarity, click here!